As a freelance blogger with a money-making blog, perhaps one of the most common questions I get from friends, family members, and – heck – even strangers is about how to make money blogging. It’s no secret that blogging is a bit of a minefield to anyone who’s not familiar with the digital marketing world or is just starting out in this particular field. I mean, it’s all well and good setting up a blog, but where do you go from there? How do you make money from a blog? And how on earth do you blog for a living? Sure enough, monetising your blog and building it up as a business until it provides you with a full-time income is not easy. However, it is possible. After all, I’m living proof. Being a blogging advocate, I’m going to break things down for you today. I’m going to tell how to make money with a blog (for beginners). How to make money with a blog for beginners 101: join affiliate networks. Whether you decide to stick to one core program or join multiple to maximise your earning potential, this is an extremely popular method of generating monthly blogging income – and the great news is that you can get this going straight away. Wahoo! Never heard of affiliate programs? Not to worry—affiliate marketing is where you promote a product on your blog using a customised link. When a reader clicks on this link and makes a purchase, you’ll get a commission of the sale. You can find a list of some of the most popular affiliate programs below. Amazon: Easy to join and use, you can use Amazon Associates to choose from and advertise over one million different products for a 10% commission. And the bonus? Even if your reader doesn’t buy a specific product but purchases from Amazon, you’ll still receive the commission. ShareASale: Offering pay-per-sale, pay-per-lead, and pay-per-click programs, ShareASale has teamed up with a lot of merchants appropriate for bloggers, like Tailwind and FreshBooks. RewardStyle: Fairly exclusive and renowned for only accepting top influencers, this is the ideal program for fashion, beauty and lifestyle bloggers who want access to 4,500+ retail partners in their niches. CJ Affiliate by Conversant: One of the largest affiliate networks around, CJ Affiliate has partnered with brands all around the globe in a multitude of industries. Skimlinks: Skimlinks is one of the most straightforward affiliate networks to use because, once you sign up for an account, they automatically convert the existing links you have on your blog into affiliate links. Me? I’m currently part of the RewardStyle network for my fashion blog, and I also use Amazon Associates for non-fashion related posts. Moreover, in addition to joining affiliate programs, you can become an affiliate for specific services you’ve bought and used in the past. 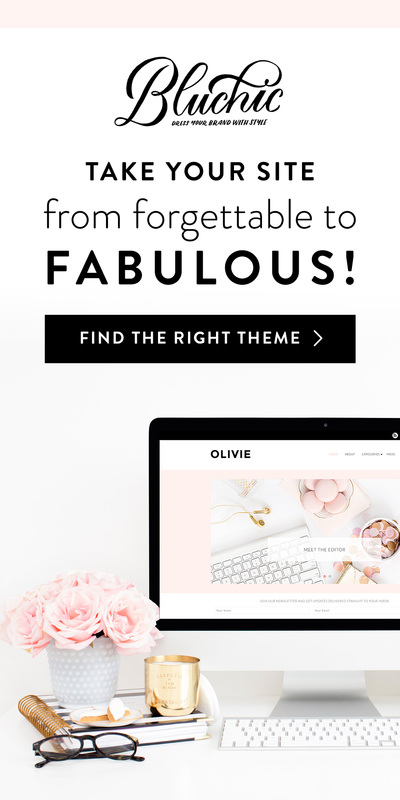 For instance, I’m an affiliate for Bluchic’s website themes because they have dreamy designs that are practical as well as beautiful (and I currently use the Victoria theme!) I’m also an affiliate for self-hosted website platform SiteGround because they’re just the best in terms of fast loading times, user-friendliness, and all-around excellent customer service. Either way, it goes without saying that you should only promote products and services that you love and believe in; otherwise, you’ll lose credibility and risk being unable to build trust with your readers. And building trust with your readers is essential for maintaining and a relationship and allowing it to flourish. Another method you can use immediately when it comes to how to make money with a blog for beginners? Advertising. Google Adsense works by matching text and display ads to your blog in line with your content and visitors. This program allows even the smallest bloggers with a low amount of traffic to start advertising through their banner and sidebar ads and earning money every time a visitor sees the ad and interacts with it. That being said, ads rely on a good amount of blog traffic to be a viable income stream because the payouts vary each month. If you’re only experiencing minimal page-views, then it’s unlikely you’ll make anything substantial until your blog grows. Are you at the point where you have more than 25,000 sessions (30,000 page-views) a month? Great – you qualify to become a Mediavine advertiser, which is where the money is with regard to blog advertising. One of the most profitable ways of how to make money with a blog for beginners is via sponsored posts. Sponsored posts are where you collaborate with brands and get paid to talk about their products or services. You may even be sent some products to try for free, which is known as gifting. Either way, it’s all about working with a brand to showcase what they’ve got to offer to their target audience by using your blog as your platform. You may just be asked to produce a sponsored blog post, but you may also be required to post on Instagram, Twitter, Facebook, and/or Pinterest so that the brand in question can receive further exposure across all your channels. Sure, the requirements may differ from brand to brand, but do you know what stays consistent? The principle. If you have a lot of traffic and social media followers, you can make a full-time income solely on this method alone. In terms of how to make money with a blog for beginners when you’re just starting out and you have, like, zero traffic (we’ve all been there), then why not consider offering a service? 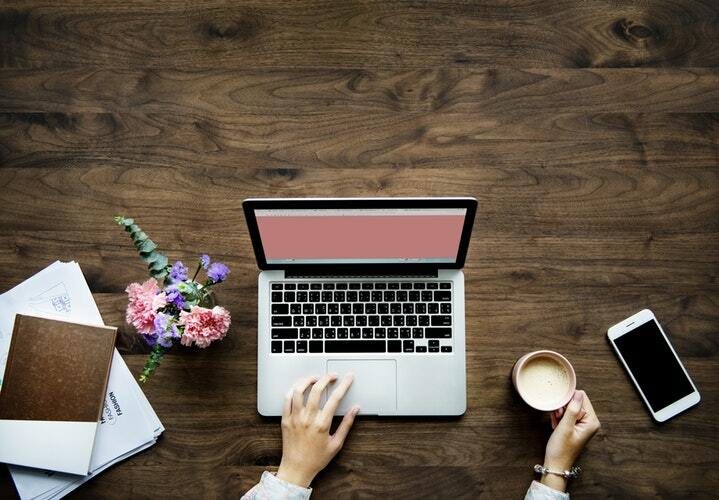 Offering a service, like freelance blogging, social media management, or virtual assistance, is a great way of making viable income as you build your blog and audience. Plus, if you have a particular skill that’s in demand or helps you to stand out from the competition, then you might as well use it! For example, when I first started monetising my blog, I became a freelance writer and blogger on the side, which I then managed to develop into a full-time income within the first six months. I’ve since carried on down the freelance writing and blogging route because I love working with new clients across a variety of publications, but now I only do it part-time (and still make a full-time income) so that I can also focus on my own money-making blogs. The final way of how to make money with a blog for beginners is through digital products. 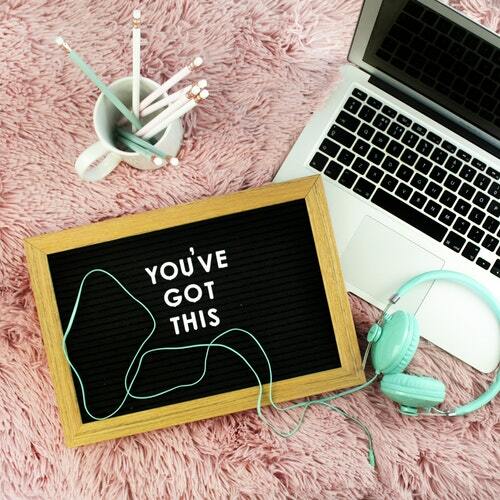 Once you’ve grown and nurtured your audience, you can start selling resources that will help other bloggers or industry professionals succeed in their own journey. Whether this is through an eBook or online course, information is power in the digital age and you can make a good amount of cash purely by teaching or mentoring others. How do I do that, I hear you ask? Well, Teachable is the perfect platform to create an online course, whereas Canva or PicMonkey helps you to create functional yet visually attractive PDFs for free. Either way, I find that there’s nothing better in life than helping others, so why not give one of these options a try? Even though figuring out how to make money with a blog for beginners can seem challenging at first, it’s worth all the time and effort. After all, through sheer determination, persistence, and hard work, you can inevitably end up making a hefty full-time income as well as doing something you love for a living – and that what I call a win-win situation. Plus, if I can do it, you can too – right? What are you waiting for? What are your top tips in terms of how to make money with a blog for beginners? Let me know in the comments!